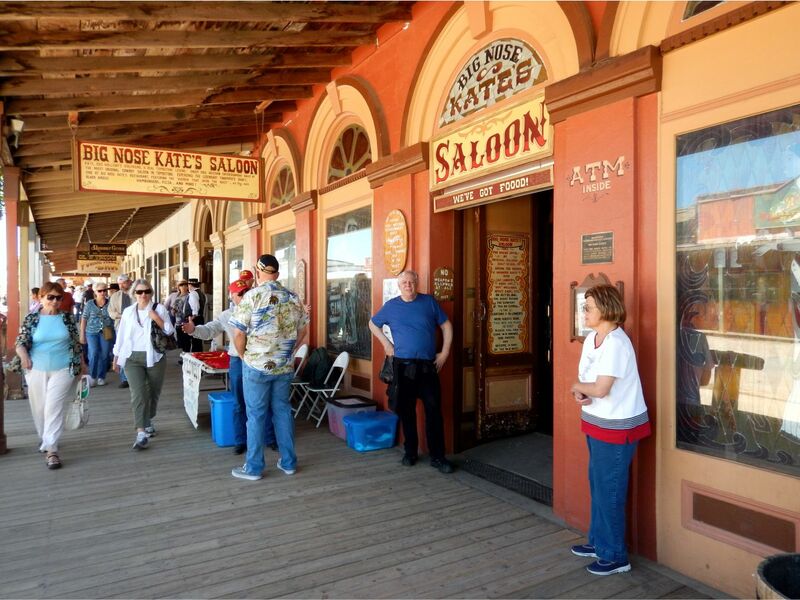 Tombstone tales and history mainly surrounds the exploits of Wyatt Earp, Doc Holliday and the famous gunfight at the OK Corral, but accompanying them are several other ‘Larger than Life’ players that had parts on the Tombstone stage. One such player was the Big Nose Kate. In 1860, the Horony family left Hungary for the United States. Dr. Horony and his wife died three years later and Kate and her younger siblings were placed in foster homes. At age 16, Kate ran away from her foster home and stowed away on a riverboat bound for St. Louis, Missouri. Her history is then somewhat murky until the time she met Doc Holliday in the early 1870s. It’s believed she entered the Ursuline Convent but didn’t remain long. In 1869, she is recorded as working as a prostitute for madam Blanch Tribole in St. Louis. In 1874, Kate was fined for working as a ” sporting woman” in a sporting house in Dodge City, Kansas, run by Nellie “Bessie” (Ketchum) Earp, James Earp’s wife. In 1876, Kate moved to Fort Griffin, Texas, where in 1877 she met Doc Holliday. Doc said at one point that he considered Kate his intellectual equal. 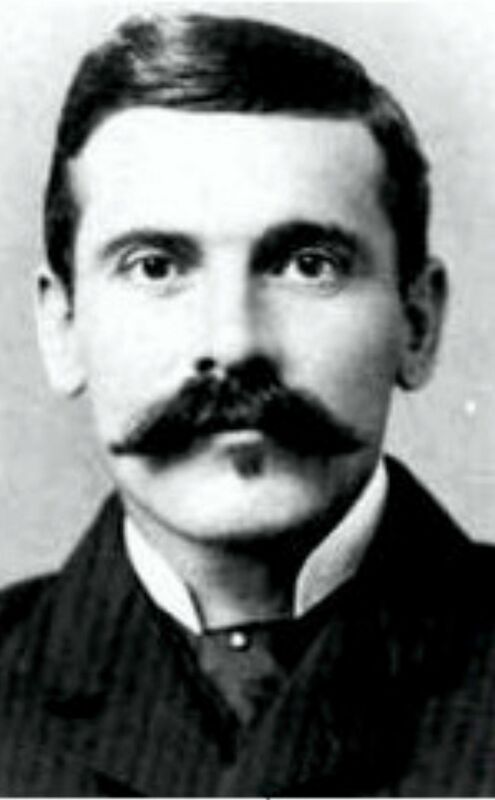 Kate introduced Holliday to Wyatt Earp. 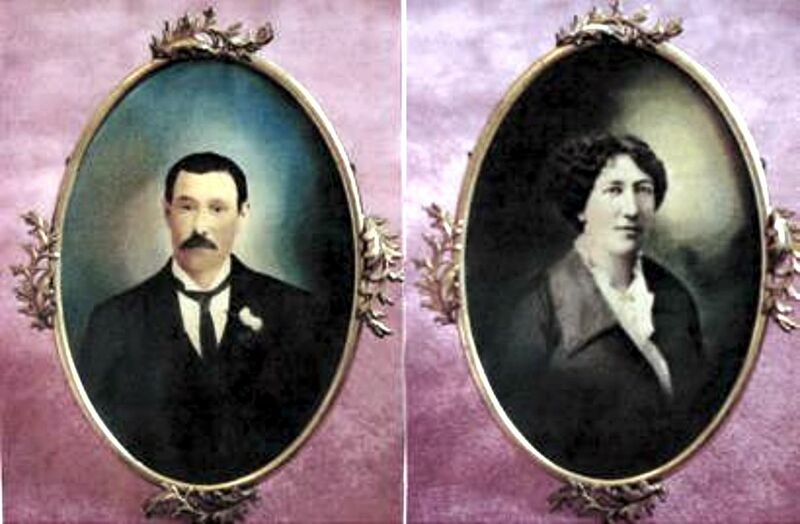 The couple went with Earp to Dodge City and registered as Mr. and Mrs. J.H. Holliday. Doc opened a dental practice by day but spent most of his time gambling and drinking. The two fought regularly and sometimes violently. According to Kate, the couple later married in Valdosta, Georgia. They traveled to Trinidad, Colorado, and then to Las Vegas, New Mexico where they lived for about two years. Holliday worked as a dentist by day and ran a saloon on Center Street by night. Kate also occasionally worked at a dance hall in Santa Fe. By her own account, Doc and Kate met up again with Wyatt Earp and his brothers on their way to the Arizona Territory. Virgil Earp had already been in Prescott before Wyatt persuaded his brothers to move to Tombstone. Holliday was making money at the gambling tables in Prescott, and he and Kate parted ways when Kate left for Globe, Arizona, but she rejoined Holliday soon after he arrived in Tombstone. Following several misadventures that are too long to mention here, Kate claimed that she was in the Tombstone area with Holliday during the days before the famous shootout. According to Kate, she was with Holliday in Tucson during October 1881. On October 20, 1881, Morgan Earp rode to Tucson to request Holliday’s assistance with dealing with outlaw Cowboys who had threatened to kill the Earps. She refused Holliday’s request that she remain in Tucson for her safety, and traveled with Holliday and Earp. Kate reminisced in a letter about her stay with Holliday at C.S. Fly’s Boarding House which bordered the alley where the Gunfight at the O.K. Corral took place. Kate accurately described minor details of the shoot out. On the day of the gunfight, Kate claims a man entered Fly’s Boarding House with a “bandaged head” and a rifle. He was looking for Holliday, who was still in bed after a night of gambling. Kate recalled that the man who was turned away by Mrs. Fly was later identified as Ike Clanton, whom city marshal Virgil Earp had buffaloed (clubbed with a gun) earlier that day when he found Clanton carrying a rifle and pistol in violation of city ordinances. Clanton’s head was bandaged afterward. Virgil Earp had disarmed him earlier that day and told Ike he would leave Ike’s confiscated rifle and revolver at the Grand Hotel, which was favored by cowboys when they were in town. Ike testified afterward that he had tried to buy a new revolver at Spangenberger’s gun and hardware store on 4th Street but the owner saw Ike’s bandaged head and refused to sell him one. Clanton was unarmed at the time of the shootout later that afternoon. Ike testified that he picked up the weapons from William Soule, the jailer, a couple of days later. Kate is reported to have made trips to Tombstone to see Holliday until he left for Colorado in April 1882. 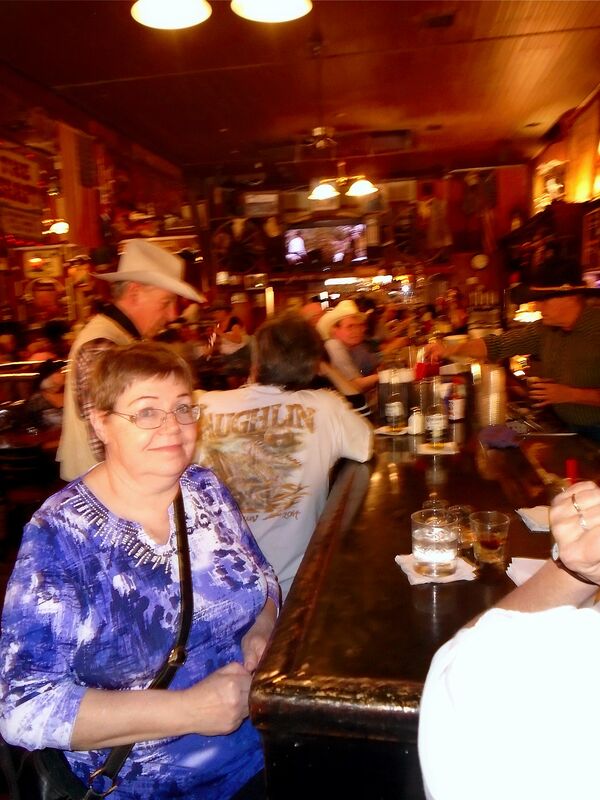 Big Nose Kate’s is definitely one of the fun places to visit in downtown Tombstone It’s the kind of place where I wish I was still drinking. I’d spin a tale of me dancing on the table and starting a bar room brawl. In my drinking days I definitely coulda got hammered here. Kate’s seems to be the heartbeat of Tombstone. It’s in the middle of town on shady side of Allen Street (main street) Unless it’s night, of course. And it outta be. It was rocking when we arrived. Noisy, boozy, lively, food and drink. It’s a joyful rock though – not smash mouth. There’s a band playing and it’s Honky Tonk colourful – a great atmosphere. 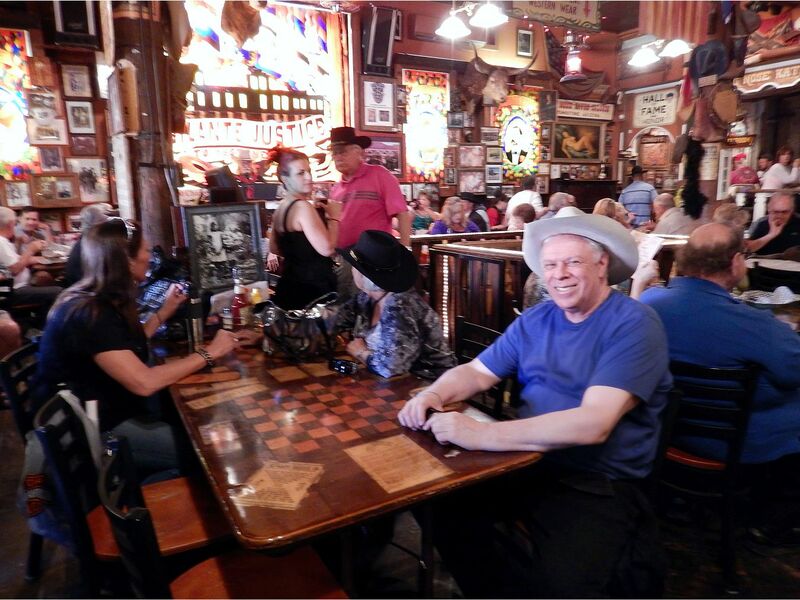 When it’s busy I figure it’s tuff to get a table – or even a seat – but maybe you can sit at the bar. That’s where I’d like to sit anyway. 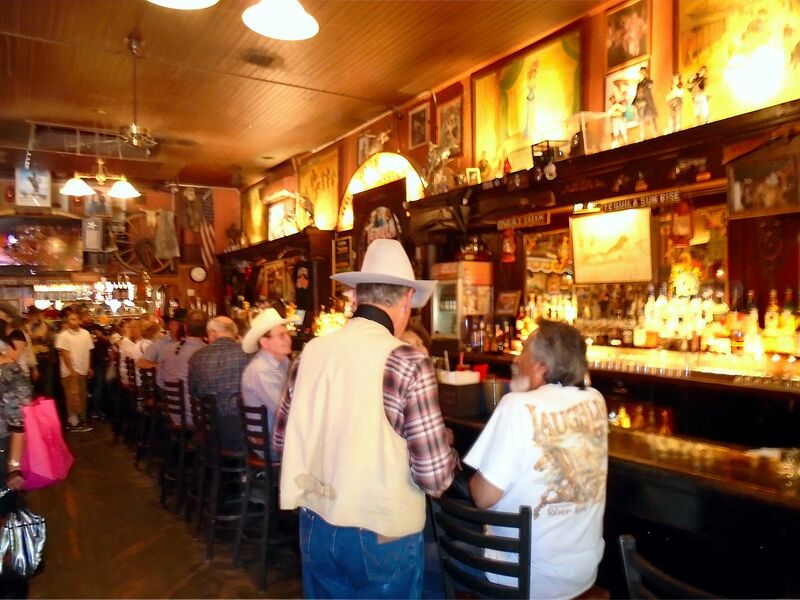 Kate’s will fit your notion of a good time Western saloon. Sooner or later, we ALL write about The Gunfight. We just can’t help it. But when you are in Tombstone? It’s mandatory. Great post!! I’m getting there … but it took me a while. I always get a kick out of the fact that Big Nose Kate has the same name as the wholesome mother in The Sons of Katie Elder. Yeah … spoze they copied that ?? LoL. Not one of John’s best, but I’ve watched it more than once.